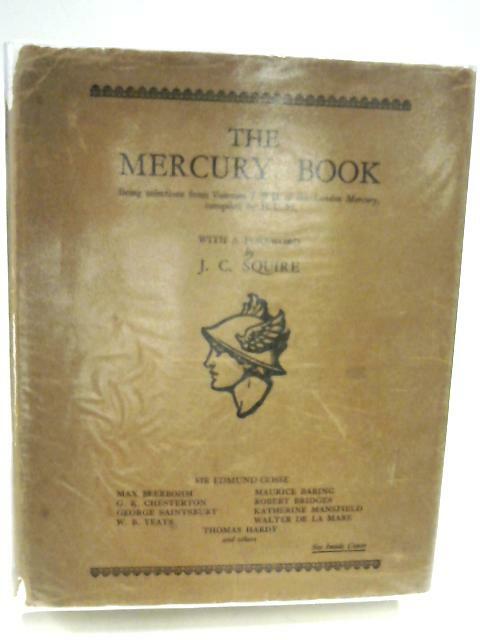 The Mercury Book. Being selections from Vol.I & II of the London mercury 1926 by H.C.M. 1926. 309 pages. Orange dust jacket over orange cloth. Rough cut pages with bold text and clear illustrations. Foxing and tanning throughout but heavier to endpapers. Mildly rubbed and marked boards with wear to edges and lightly crushed spine ends with tears. Dust jacket is protected by removable plastic cover and has chipping, tears and heavy loss to spine ends and along edges with noticeable rubbing and tanning over surfaces.